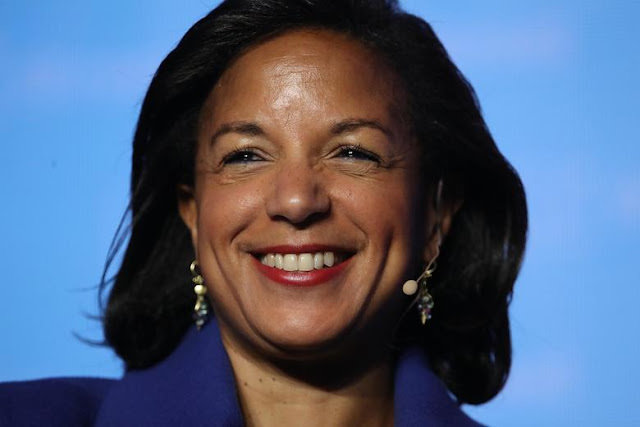 AFRICAN AMERICAN REPORTS: Could Susan Rice be planning to run against Sen. Susan Collins in 2020? Could Susan Rice be planning to run against Sen. Susan Collins in 2020? Could former Obama administration official Susan Rice be planning to run against Republican Sen. Susan Collins of Maine in 2020? Susan Rice, who was President Barack Obama's national security adviser tweeted "Me" when another former Obama official asked who could challenge Sen. Susan Collins in 2020. The short tweet which came after Collins, a Maine Republican, announced she would vote to confirm Brett Kavanaugh to the Supreme Court caught national and state Democrats by surprise. Rice stated in another tweet that she is not announcing anything but just voicing her frustration at Collins support of Kavanaugh. Let's hope that she does announce and challenge Collins in 2020.